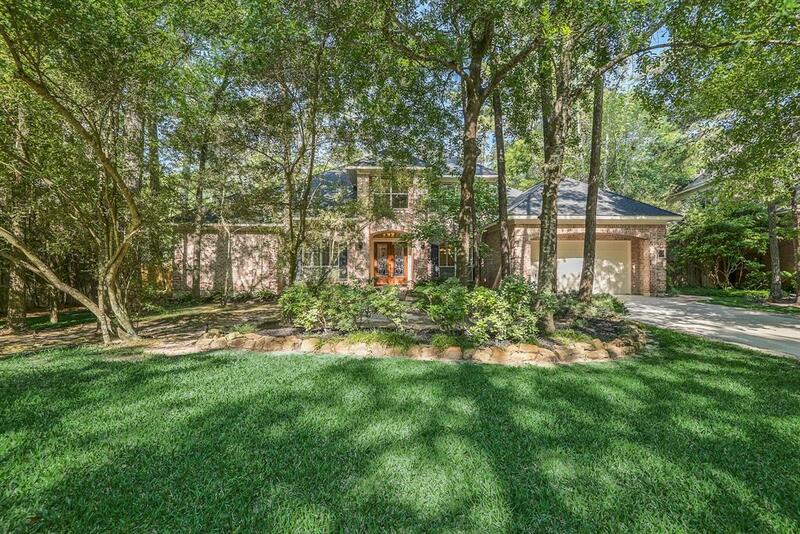 Ultimate in privacy in this 1/3 acre lot backing to greenbelt! 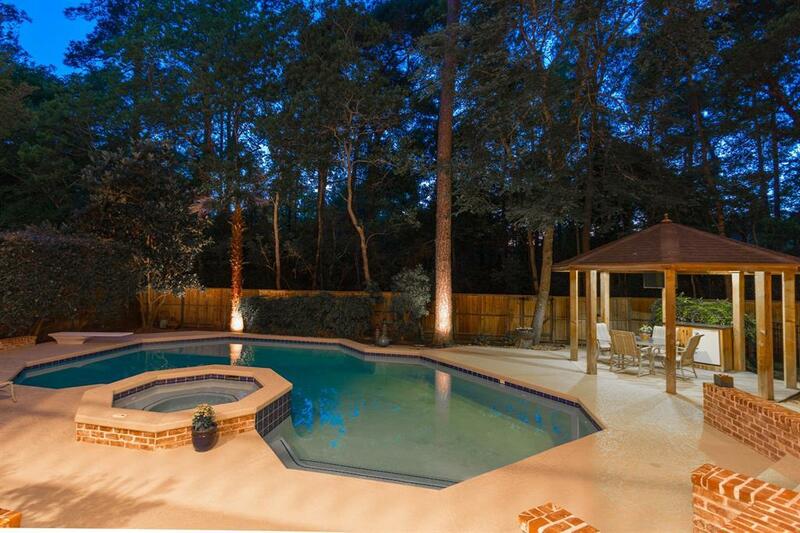 Enjoy the forest & nature while lounging around the pool, BBQing, or simply enjoy the outdoors! Step inside to spacious rooms! Kitchen is open to the family & the kitchen is to die for w/cabinets & counter space galore! W/both formals, the home is perfect for entertaining. Upstairs is private game room opening to a balcony overlooking your backyard haven & greenbelt! You will be delighted w/the size of these bedrooms! Recent updates include pool plaster, paint, master w/frameless enclosure, new tile & tub enclosures in baths up, travertine in foyer, carpet, hdw & fixtures! 3 car garage is squeaky clean w/epoxy coating! Roof replaced in 2018! 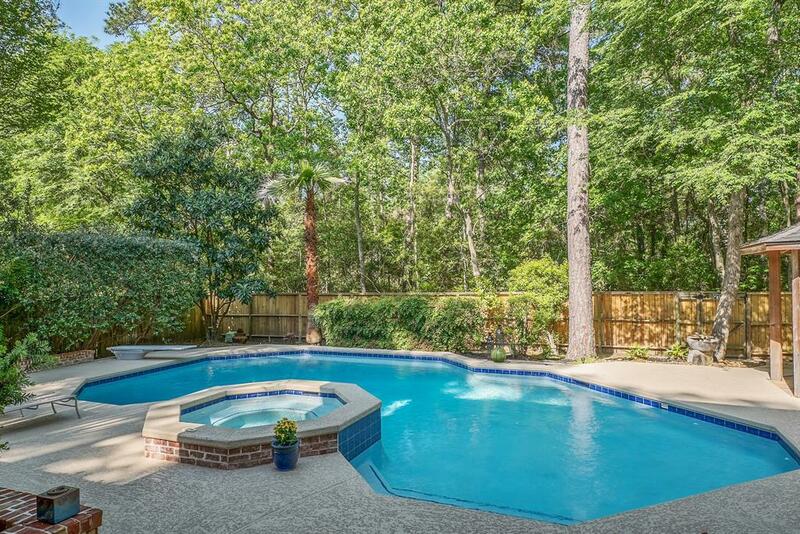 Next door to exemplary Buckalew Elem & Lakeside Park allowing access to Bear Branch Lake! Hop on hike & bike path for shopping & restaurants in Alden Bridge Shopping Center. Just minutes to Town Center or shopping at 2978 & 1488! No flooding on property or home during Harvey per owner!